Central India is known for its unique and diverse geographical features, including the topography, soil, climate and vegetation. Numerous hill ranges like the Vindhya, Satpura, Aravali, Maikal and Ajanta are located in the central part of India and support a unique and varied flora and fauna. 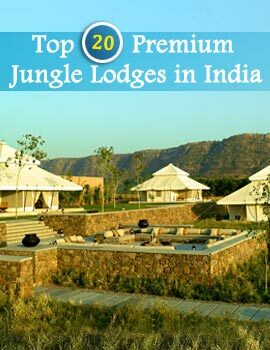 Wildlife Destinations in Central India are perfect getaways for people looking respite from the drudgery of everyday life, but they also act as welcome retreats for travelers on the look out to discover the stunning biodiversity of Central India. The numerous wildlife sanctuaries and reserves in Madhya Pradesh and Chhattisgarh form the core of the Wildlife Destinations in Central India. Wildlife expeditions deep into the Bandhavgarh National Park, Kanha National Park, Kangerghati, Indravati National Park, Sita Nadi Wildlife Sanctuary and Udanti Wildlife Sanctuary will introduce you to a whole new world of untouched wilderness, replete with birds and animals. The Wildlife Destinations in Central India attract thousands of wildlife enthusiasts, ornithologists, researchers and regular tourists from all corners of the world. Explore some of the most important sanctuaries in this region and discover the diverse flora and fauna of Central India wildlife destinations. Refuge to numerous species of endemic and rare species of birds and animals, these wildlife sanctuaries delight visitors with exciting opportunities to watch untamed wildlife in its natural habitat. 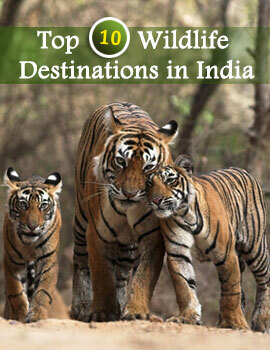 While almost 22% of the total tiger population in India is housed in the tiger reserves in Central India, the Wildlife Destinations in Central India are also home to an enchanting variety of animals including the wild buffalo, the mocking hill myna, deer, four horned antelope, sloth bear, wild boar, wild dog, jackal, wolf, hyena and bison.